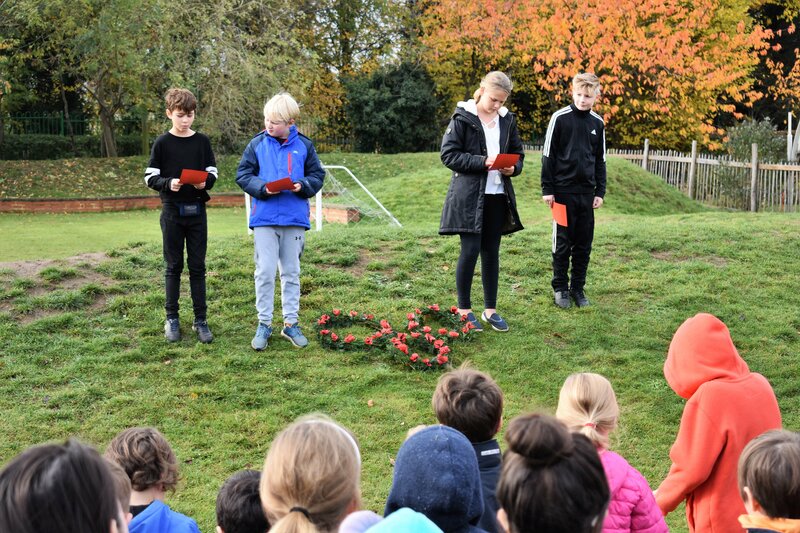 On Friday 9 November pupils and staff from the Junior and Senior Schools marked the centenary of the end of the First World War, which takes place on Sunday 11 November, 100 years after the Armistice was signed on 11 November 2018. 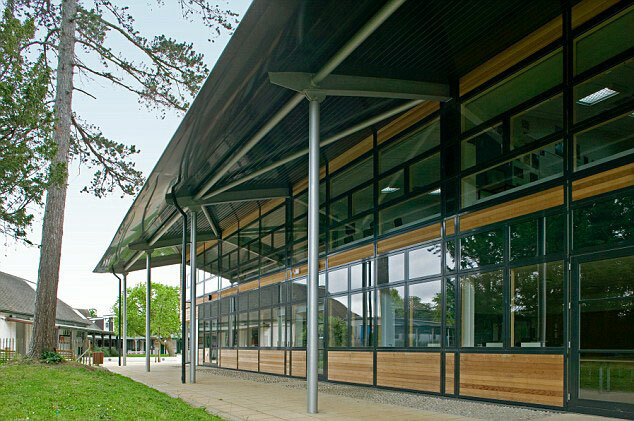 Junior and Senior School pupils met for a three minute silence in front of the Junior School at 11 am. 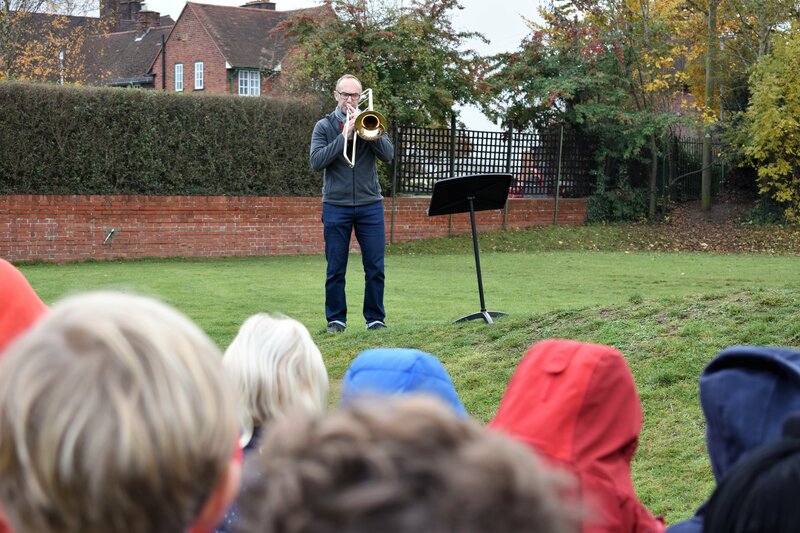 The ceremony was marked by Year 6 (D Group) pupils, who have been learning about the Second World War this term, and who read poems in commemoration, and by a performance of the Last Post, by Head of Music Martin Goodchild. 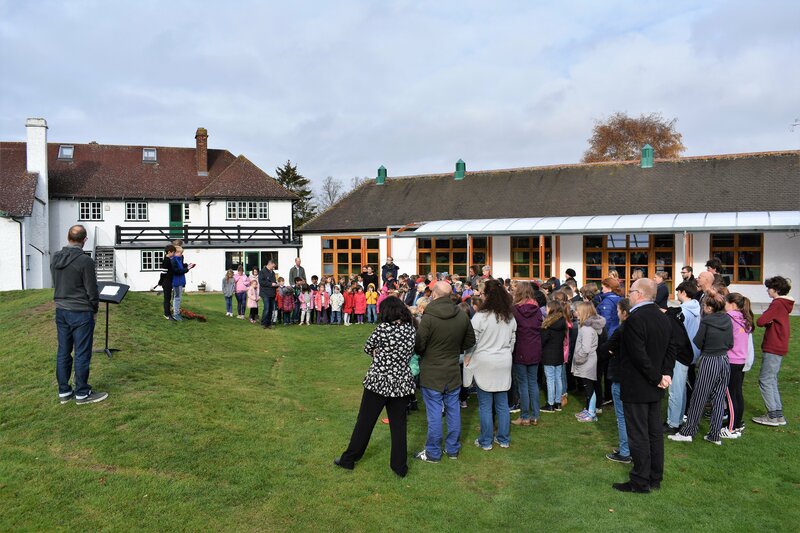 Year 6 then walked to the war memorial in Letchworth to lay a wreath of poppies. In Senior School Morning Talk Year 9 (III Group) pupils Poppy and Zak, who have recently been on the year group’s Battlefields trip to France and Belgium, each read a poem. Poppy read Siegfried Sassoon’s Does it Matter? and Zak read Anthem for Doomed Youth by Wilfred Owen. Head of History Mario May then spoke about how the end of the First World War was only an end to the battle on the Western Front, and that wars in Poland, Ukraine, China and Ireland, amongst others, continued. He described how the hatred, division and nationalism stirred up by the war led directly to the Second World War. He also talked about the long-lasting devastation – both to those who fought and survived, and their families and communities, and how many felt betrayed by those that had sent them to war only to return to difficult conditions back home, if they returned at all. History teacher Mike Collins then spoke about the difference between celebration, remembrance and commemoration and talked about the inscription to The Glorious Dead found on many war memorials, and his discussions with veterans of more recent wars about the term ‘glorious’, what it means and whether it is appropriate. The Morning Talk finished with music by The Fureys – Green Fields Of France – and a three minute silence.